NAPLES - You now have a chance to become educated on some of the darkest days in history. "The exhibit is very nice. It’s educational for people to learn about the Holocaust," said Abe Price, a Holocaust survivor. Fox 4 was there for the ribbon cutting on a new exhibit in Collier County called "The Courage to Remember." It documents the Holocaust and consists of 42 panels that detail the Nazi's murderous campaign in which 6 million Jews were killed. An exhibit organizer says the display is designed to promote educations so that no one forgets about the events designed to wipe out the Jewish people. "Holocaust denial feeding tourist… it's the mother's milk of terrorisms. Never has there been a more important time for holocaust education that now, right now," said Dr. Alfred Balitzer. The traveling display also features 200 original photographs, many of which have never seen before by the general public. 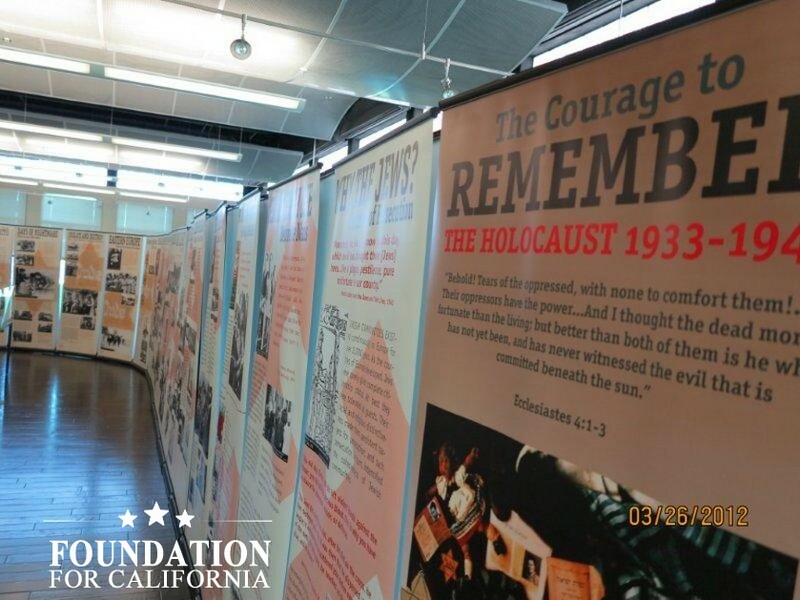 The display is organized by a group called the Foundation for California and is done in partnership with the Holocaust Museum & Education Center of Southwest Florida. This exhibit is open to the public for free at the North Collier Regional Park exhibit hall off Livingston Rd. in Naples and runs through next Friday.